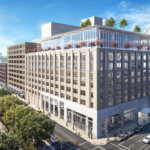 Rafael Viñoly Architects recently released new renderings for the renovation of 787 Eleventh Avenue. 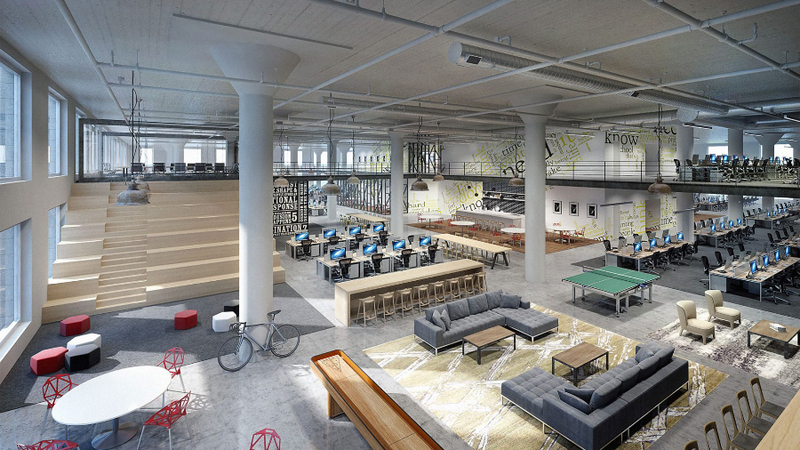 The renderings show how the large industrial building is revamped into an array of car showroom and office spaces for Packard Motor Company. 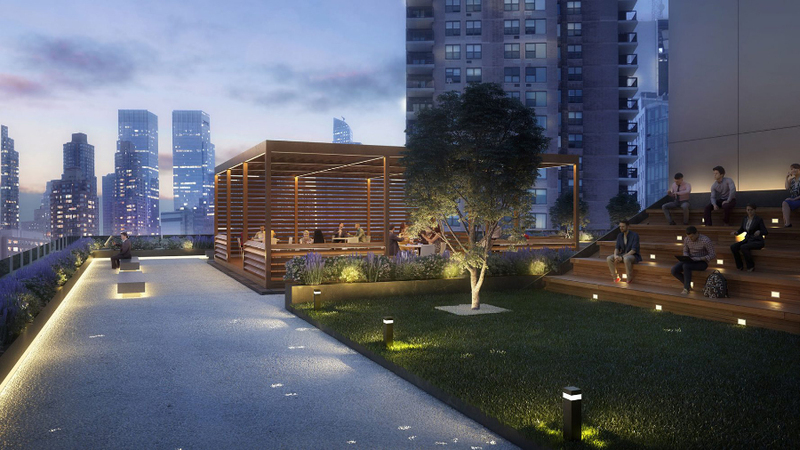 The renovation of the historic building along 11th and 12th Avenues in Hell’s Kitchen was originally announced in 2016. 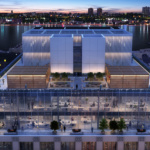 Located in proximity to the iconic Via 57 West, Mercedes House and Hudson Yards, the Rafael Viñoly-designed edifice will be a new addition to the already crowded architectural scene. 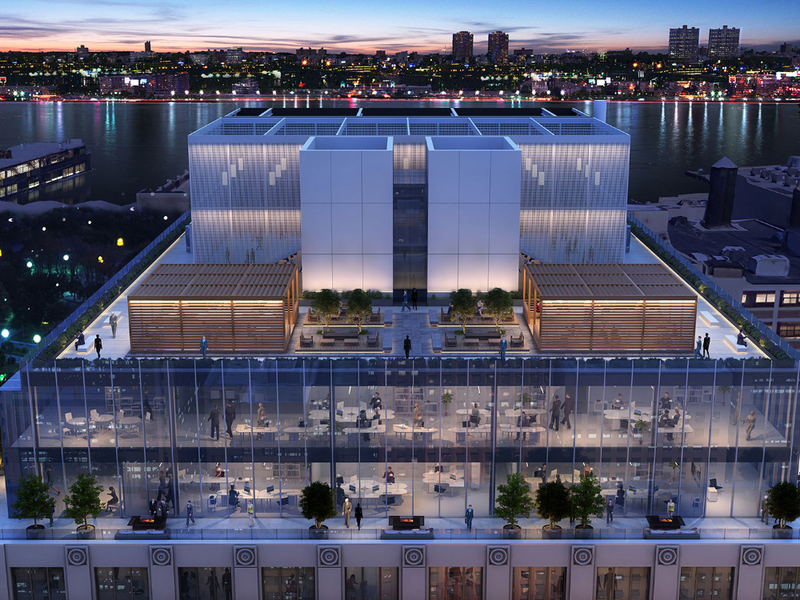 It will add to Manhattan Midtown’s westward expansion to the Hudson River. 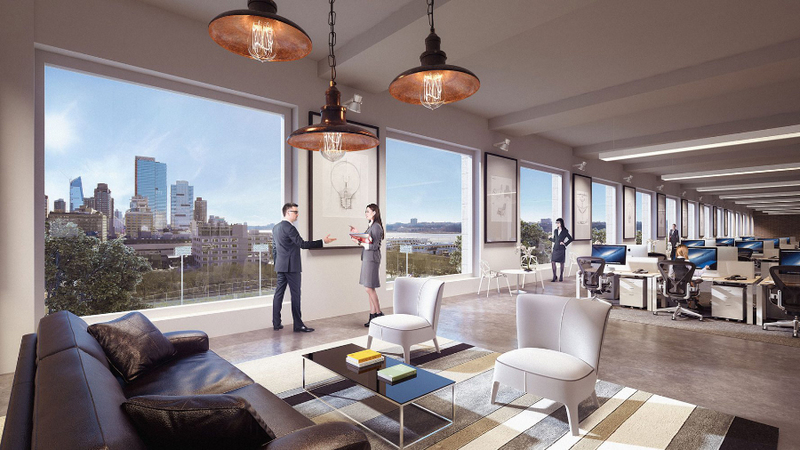 The existing eight-story Art Deco building was originally designed by the late Albert Kahn in 1927. 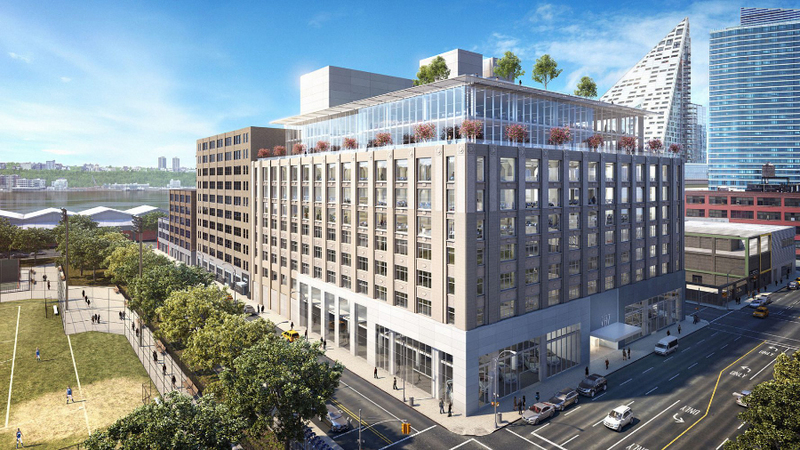 Viñoly’s renovation adds two upper floors to the building. 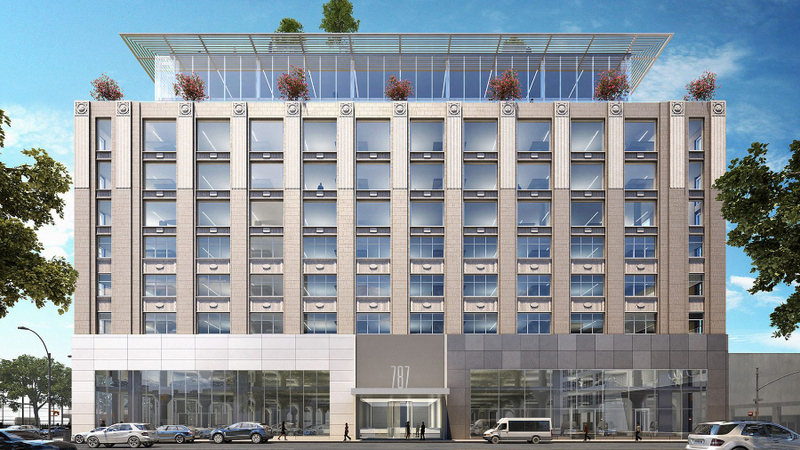 The new ninth and tenth floors recedes from the periphery of the building to produce an uninterrupted private outdoor green terrace.The lower floors will remain a car showroom and contain service areas, while the upper floors will become commercial office space to accommodate the expanded workforce. 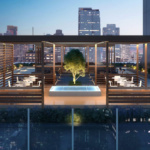 Viñoly envisions a work environment with upgrades such as a 12,000-square-foot green roof deck. The roof was originally allocated as employee parking, which is now moved to the basement. 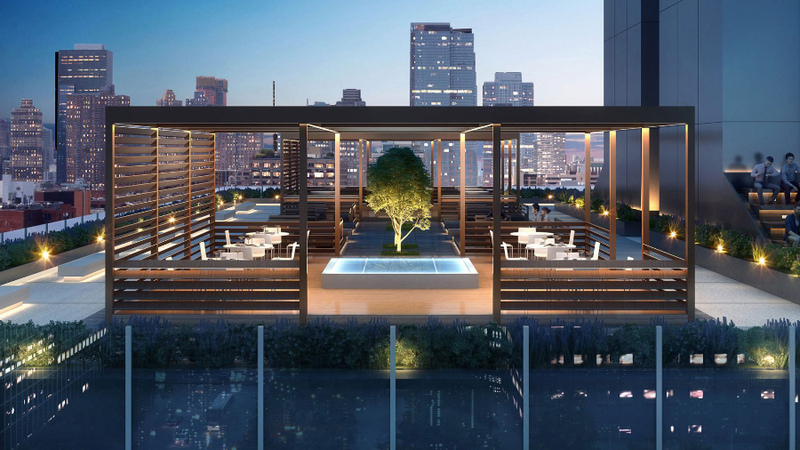 In the original structure, widely spaced columns support one-acre-large floor slabs, which permit open office layouts. 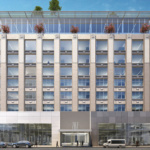 To further enlarge the volumes of spaces, the seventh floor slab is removed to create a double-height office. 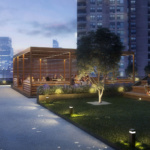 Other features of the new design include the renovation of the facade, the ground-floor entrance, the building lobby and modern infrastructure. 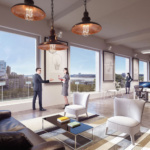 The architects will install floor to ceiling windows as large as ten feet by ten feet to allow for better lighting into the offices, as well as expanded views to the city and the river.